You don’t have to break the bank for a good pair of bootfoot waders. 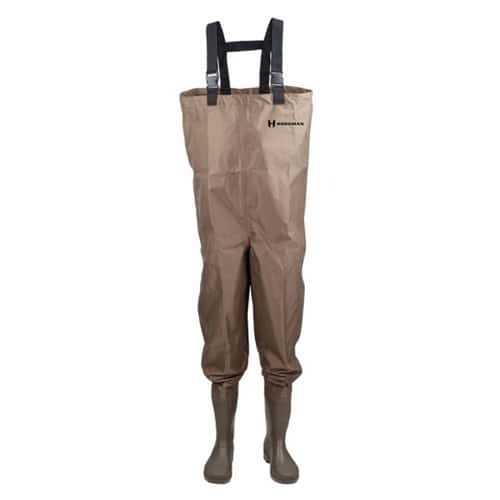 Hodgman® Mackenzie bootfoot waders are constructed using rugged heavy denier PVC coated nylon which keeps water on the outside of your wader where it belongs. Additionally these waders are 35% lighter when compared to traditional rubber chest waders. Adjustable suspenders with easy on and off buckles allow for a customized fit and the lightweight PVC boot with cleated outsole allows you to trek without being worn down by heavy rubber boots.